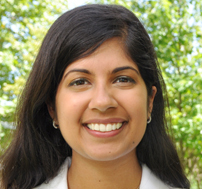 Geetha Kanakeswaran, M.D., earned a Bachelor of Science in Neuroscience degree from University of California, Los Angeles, in 2008; Master of Medical Science degree from Drexel University in Pennsylvania in 2011; and a Doctor of Medicine degree from St. George’s University School of Medicine in Grenada in 2015. Prior to residency, she participated in ALS research at Drexel University. She served as a neuroscience and biochemistry peer tutor at the Department of Educational Services, Grenada, and a physiology, microanatomy and neuroscience tutor at the Center for Academic Success, Drexel University. 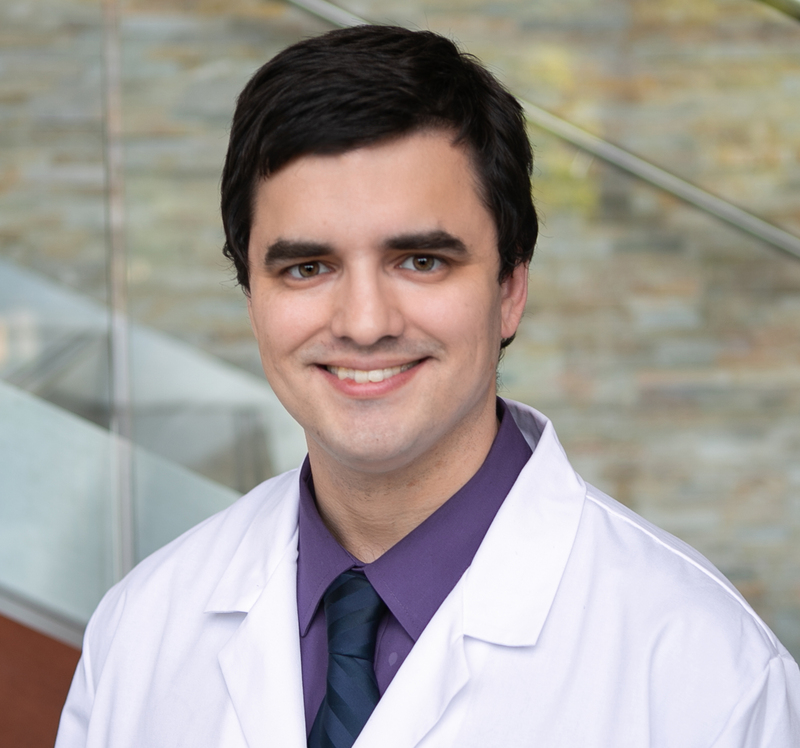 Alex Mirzoev, M.D., earned his Bachelor of Science in Psychology degree from York University in 2011, and his Doctor of Medicine degree from the American University of the Caribbean School of Medicine in 2015. Prior to residency, he published with the epilepsy division at Sick Kids in Toronto, Canada, and was a research assistant at the Sleep Laboratory at the Toronto Rehabilitation Institute. 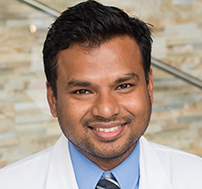 Praveen Venkatachalam, M.D., earned his Master of Science in Aging Studies and Neuroscience degree from the University of South Florida School of Medicine, and his Doctor of Medicine degree from Rajah Muthiah Medical College in India. He completed a vascular neurology and neurohospitalist fellowship at Wayne State University in Detroit, Mich. He was mentored by the president of the Indian Stroke Association. He was a junior resident at the National Institute of Mental Health & Neuroscience in India and worked at the GLB Acute Stroke Centre, India. His research interests include stroke. Miesty Woodburn, M.D., earned her Bachelor of Science in Athletic Training-Sports Medicine at the University of Central Florida and her Doctor of Medicine degree at St. George’s University School of Medicine in Grenada in 2014. She is an active member of Physicians for Human Rights and was inducted into the Gold Humanism Honor Society in 2013. Prior to residency, she taught anatomy and sports medicine at Immaculate High School in Connecticut and served as an athletic trainer for Tulane University’s Division I football team in Louisiana, Gold Coast Physical Therapy and Associates in Florida, and Chase Collegiate School in Connecticut. 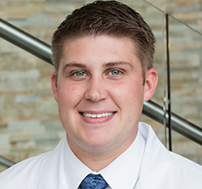 Preston Eibling, D.O., earned his Bachelor of Science in Biology degree from the University of Toledo in 2012, and his Doctor of Osteopathic Medicine degree from Lake Erie College of Osteopathic Medicine in 2016. He has volunteered at the Alzheimer's Association, the National Multiple Sclerosis Society and other associations that seek to improve the lives of patients and families who face neurological disorders. Prior to residency, he also served as a tutor for anatomy, histology and embryology. Dr. Eibling enjoys spending time with his family and friends while serving the community's holistic health needs. Lane Fowler, M.D., earned his Bachelor of Science in Chemistry degree from Marshall University in 2011, and his Doctor of Medicine degree from Marshall University in 2016. He serves as a first lieutenant and physician in the U.S. Air Force National Guard. Dr. Fowler volunteers for Special Olympics and the Boy Scouts of America. Ashley Paul, M.D., earned her Doctor of Medicine degree from Albany Medical College in New York in 2016. 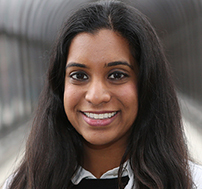 Prior to joining the residency program, she served at the Albany Medical Center Department of Neurology, the Albany Medical Center Quality Improvement and the Albany Medical Center Department of Urology. 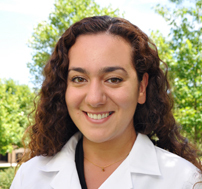 Umran Ugur, M.D., earned her Doctor of Medicine degree from Ross University School of Medicine in Dominica in 2015. Prior to joining the residency program, she served as chief student in internal medicine at St. John’s Episcopal Hospital, in New York. She also volunteered as an EMT in undergraduate school and helped organize clinics in the indigenous community of Salybia. Meredith Clouse earned her Doctor of Medicine degree from University of Louisville School of Medicine. Dr. Clouse is a neurology resident. 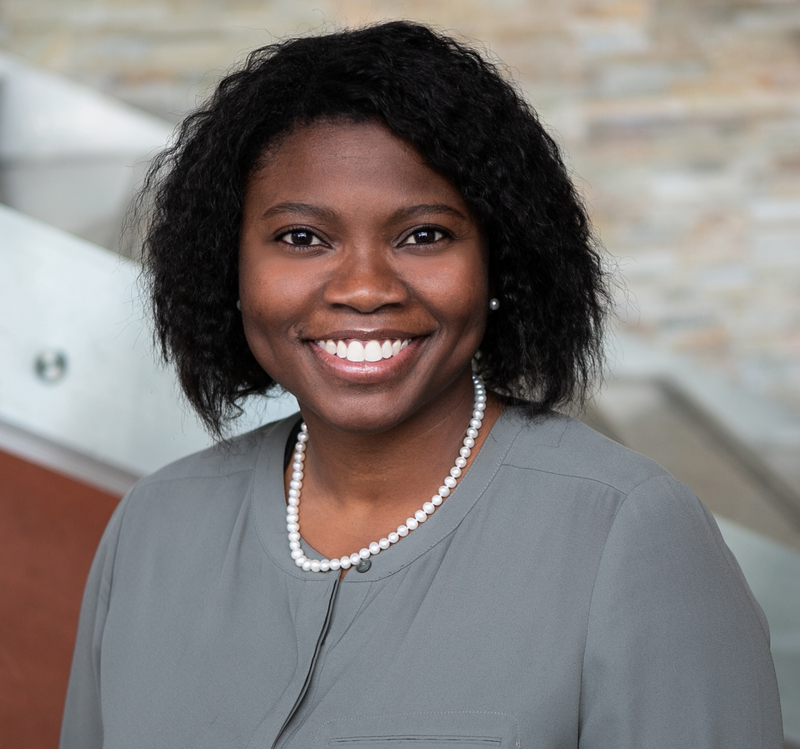 Prior to joining the Clinical Neuroscience Institute, she served as a teaching assistant for problem solving in biomedical engineering at the Rose-Hulman Institute of Technology. Dr. Clouse enjoys playing the harp and piano, as well as reading, traveling and cooking. 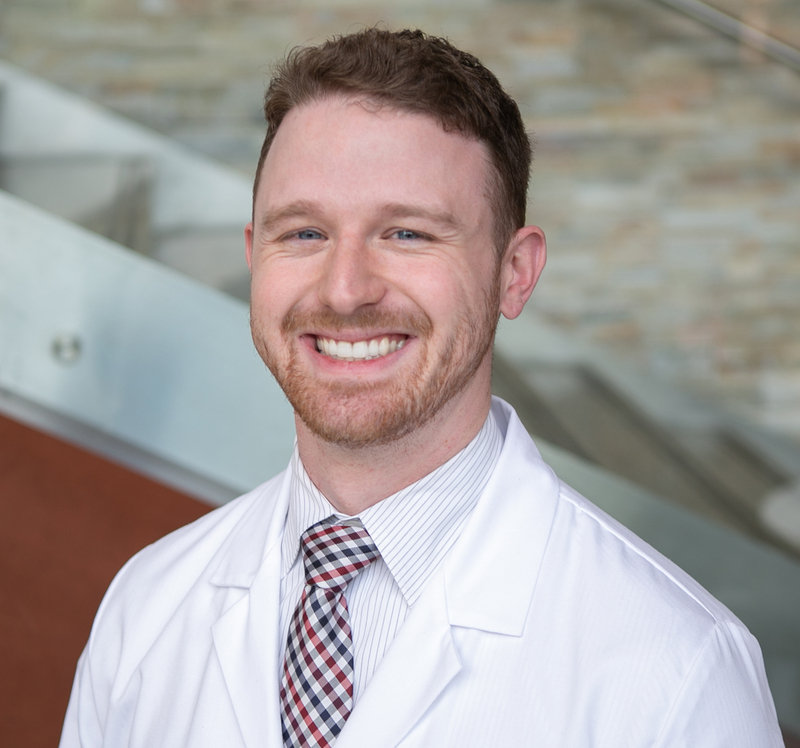 Eric Creed earned his Doctor of Osteopathic Medicine degree from Campbell University School of Osteopathic Medicine (NC) in 2017. Dr. Creed is a neurology resident. Prior to joining the Clinical Neuroscience Institute, he served as an academic peer tutor at Campbell University School of Osteopathic Medicine. He enjoys writing poetry, studying Ancient Greek and Roman history, and playing golf. Ibrahim Mustafa earned his Doctor of Osteopathic Medicine degree from Touro University Nevada College of Osteopathic Medicine in 2017. Dr. Mustafa is a neurology resident. 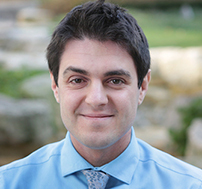 Prior to joining the Clinical Neuroscience Institute, he served as a volunteer for the American Lung Association, DOCARE International, and Pulmonary Critical Care and Allergy/Immunology in Nevada. He enjoys playing basketball, hiking, kickboxing, and painting. Nicholas Ressa earned his Doctor of Medicine degree from the American University of the Caribbean School of Medicine in 2017. Dr. Ressa is a neurology resident. Prior to joining the Clinical Neuroscience Institute, he served as laboratory technician in quality control at Ideas, Incorporated in Illinois. He authored the following publications: “The Reasons Behind the Ink,” co-author, Cutis Dermatology Magazine November 2016, survey study looking into the reasons people get tattoos/tattoo removal; “The Protective Effect of Host Heat Shock Protein 70 against Salmonella typhimurium Induced Gastroenteritis in vivo,” co-author, research and poster completed Spring 2012- Midwestern University, and “A look into the use of how heat shock proteins can provide an innate defense to salmonella without the use of antibiotics, preventing resistance.” He enjoys playing hockey and running marathons. 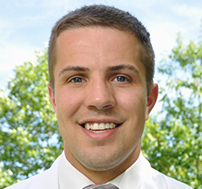 Luke Bramlage earned his Doctor of Medicine degree from Wright State University Boonshoft School of Medicine. Dr. Bramlage is a neurology resident. 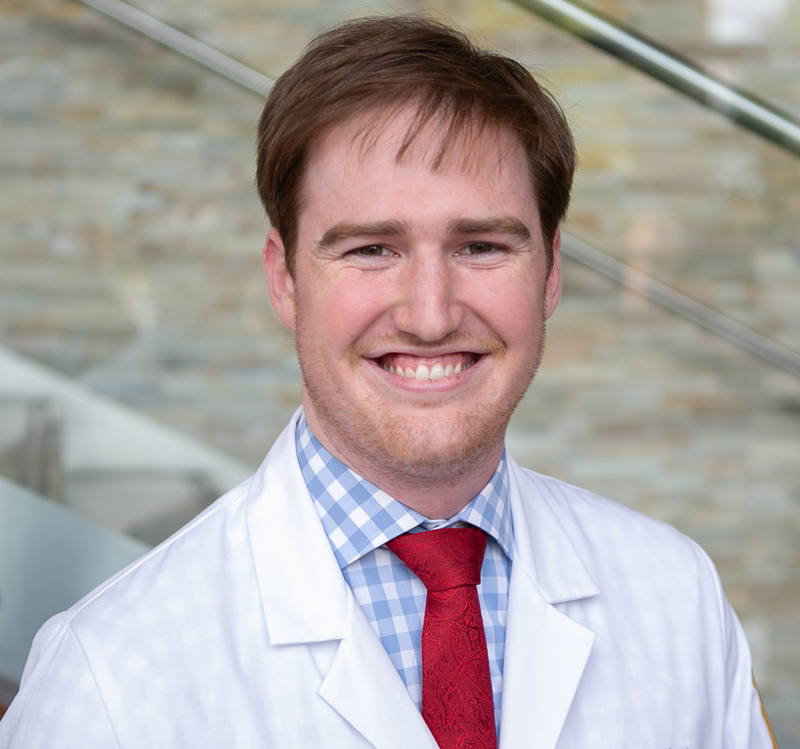 Prior to joining the Clinical Neuroscience Institute, he served as an intern at HealthSpot in Dublin, Ohio. He authored the following publication “Seminarian Outreach Pilot Project” co-author, The Limacre Quarterly, Feb 2016, 116-117. He enjoys Ohio State football, soccer, video games, Star Wars, and home brewing beer. Adam Deardorff earned his Doctor of Medicine degree from Wright State University Boonshoft School of Medicine. 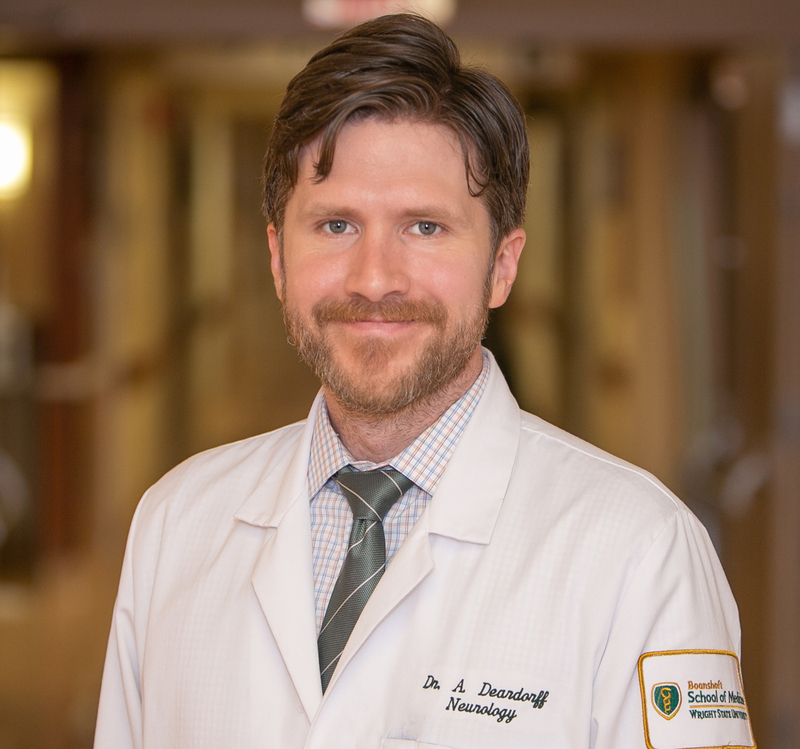 Dr. Deardorff is a neurology resident. Prior to joining the Clinical Neuroscience Institute, he served a teaching assistant for multiple courses at Wright State University Boonshoft School of Medicine. He authored the following publications: “Development of emotional intelligence in a Team-Based Learning internal medicine clerkship” co-author, Medical Teacher, Sept 2012, 34(10):802-806; “Lateral superior olive function in congenital deafness” co-author, Hearing Research, July 2011, 277(1-2): 163-175; “Expression of postsynaptic Ca2+activated K+ (SK) channels at C-bouton synapses in mammalian lumbar alpha-motoneurons” co-author, Journal of Physiology, Feb, 2013, 591(4):875-897; “Assessing first year medical students attitudes of the effectiveness of Team-Based Learning” co-author, Journal for the International Association of Medical Science Educators, July 2010, 20(2): 68-72; “Swimming against the tide: Investigations at the C-bouton synapse” co-author, Frontiers in Neural Circuits, Sept 2014, 8(106): 1-17; “Sound stimulation modulates high-threshold K(+) currents in mouse auditory brainstem neurons” co-author, European Journal of Neuroscience, Nov 2010, 32(10): 1658-1667; “Redistribution of Kv2,1 ion channels on spinal motoneurons following peripheral nerve injury” co-author, Brain Research, Feb 2014, 1547(1) 1-15; “Actively-dependent redistribution of Kv2.1 ion channels on rat spinal motoneurons” co-author, Nov 2016, 4(22): e13039 1-11; “Muscle proprioceptors in adult rat: Mechanosensory signaling and synapse distribution in spinal cord” co-author, Journal of Neurphysiology, Aug 2017, 1-20; “Complex impairment of IA muscle proprioceptors” co-author, Journal of Anatomy, Aug 2015, 227(2): 221-230; “Developing a research-focused learning community at one medical school” co-author, Medical Science Educator, April 2011, 21(1S): 98-103. He enjoys running, playing guitar and the ukulele, and music. Brandon Hendrix earned his Doctor of Medicine degree from University of Central Florida College of Medicine. Dr. Hendrix is a neurology resident. Prior to joining the Clinical Neuroscience Institute, he served as a teaching assistant at Eastern Michigan University’s Department of Biology. He authored the following publications: “The Future of Neuroregenerative Therapy for Parkinson’s Disease” co-author, Current Tissue Engineering, Mar 2014, 3(1): 25-33; “Secreted type of amyloid precursor protein induces glial differentiation by stimulating the BMP/Smad signaling pathway” co-author, Biochemical and Biophysical Research Communications, May 2014, 447(3): 394-399. He enjoys the violin (classical blues) and other instruments, Stephen King novels, and science fiction TV shows and movies. Emery Steele earned his Doctor of Medicine degree from Indiana University School of Medicine. Dr. Steele is a neurology resident. Prior to joining the Clinical Neuroscience Institute, he served as a researcher at Indiana University School of Medicine. He authored the following publication: “Eosinophils Are Recruited in Response to Chitin Exposure and Enhance Th2-Mediated Immune Pathology in Aspergillus Fumigatus Infection” co-author, Infection and Immunity, Aug 2014, 82(8): 3199-3205. He enjoys motorcycle riding, repair and maintenance; writing, performing, and recording piano music; competitive and recreational weightlifting; and is an eSports enthusiast.